In December last year, Volkswagen Group South Africa’s multipurpose PeoplePavilion in Uitenhage celebrated its 5th anniversary. Since officially opening its doors in 2013, PeoplePavilion has welcomed nearly half a million visitors who have attended various events such as sporting matches, exhibitions, conferences, birthdays and weddings. The R30-million facility is one-of-a-kind in the SA auto industry and VW Group production network. It is a sports, recreational, rehabilitation and community facility operating for the benefit of all VWSA employees and their families, and aims to create a sense of belonging and engagement for VW employees in Uitenhage. PeoplePavilion boasts a fully equipped gym with qualified trainers, a multi-purpose hall that is able to service different indoor sporting codes and can host functions of up to 500 people, an outdoor field for rugby, soccer, cricket and baseball. “I am proud that many of our employees and people living in the Nelson Mandela Bay area have made good use of our facilities. 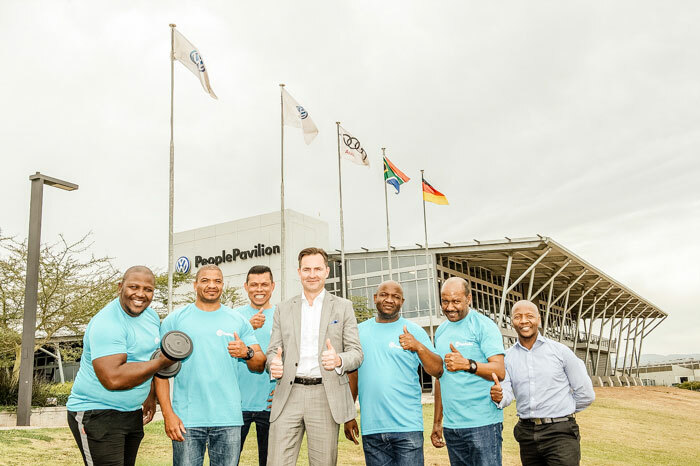 The number of visitors is indicative of the success of our venue,” said Thomas Schaefer, Chairman and Managing Director of VW Group South Africa.